Introduction: Base on Zigbee tech, a dimming project team, owned by Zhuhai Shengchang Electronics Co., Ltd, launches a wireless intelligent lighting dimming driving solution. Introduction: Base on Zigbee tech, a dimming project team, owned by Zhuhai Shengchang Electronics Co., Ltd, launches a wireless intelligent lighting dimming driving solution. 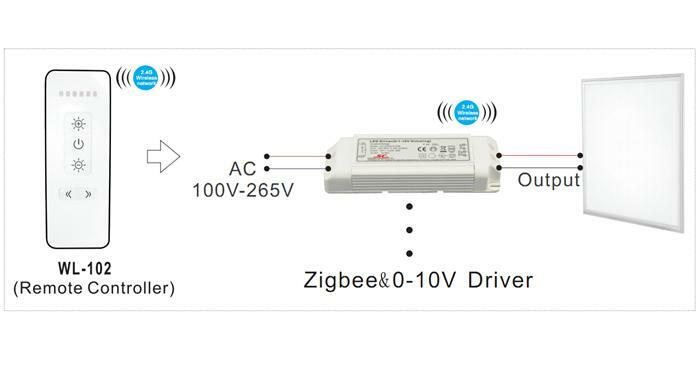 To ensure the high-reliability and high-performance of the solution, the team specially embed active PFC in Zigbee module to create a very stable wireless intelligent control dimming driver with high-efficiency and high-controllability. 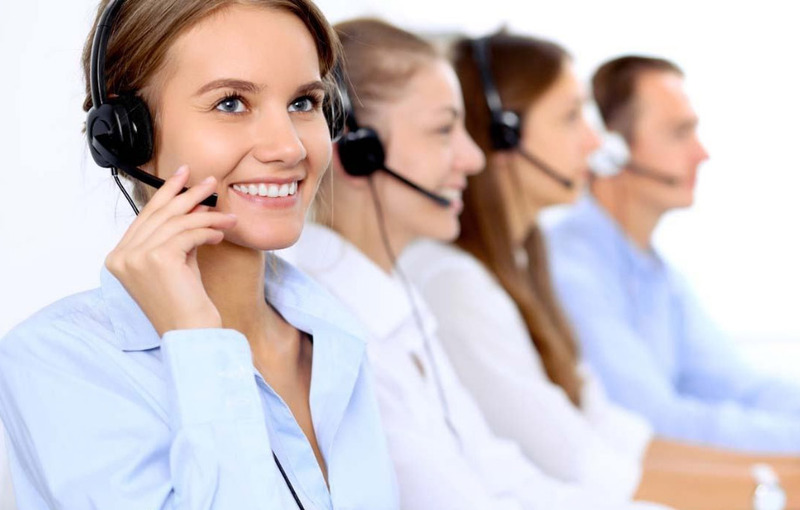 Intelligent lighting can combine many network like Zigbee and Wi-Fi with and IT tech to make some executive functions come true,such as single lighting remote control (switch and dimming),scene setup, time setting and so on. Intelligent lighting has been a hot spot in high-end lighting application market. The capacity of high-end lighting application market in China has been reported to reach 200 billion US dollars within the coming 5 years. To response this trend, Shengchang Ltd has launched intelligent lighting LED dimmable driver and controller. 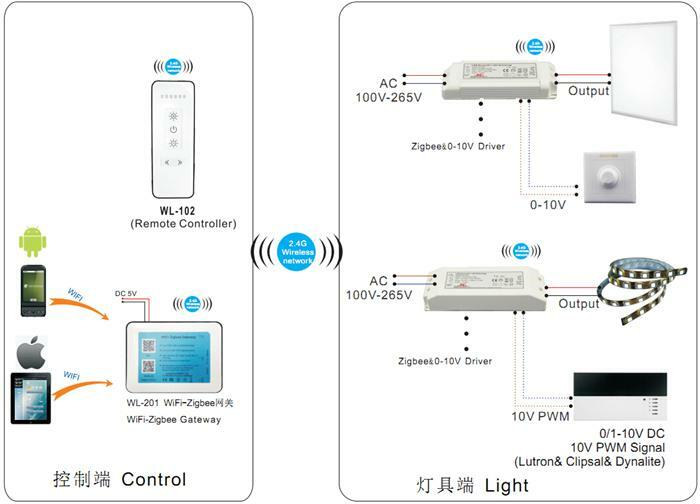 Zigbee implement interconnected control and real-time control by combining mobile phone, tablet PC, remote controller and lighting control system. 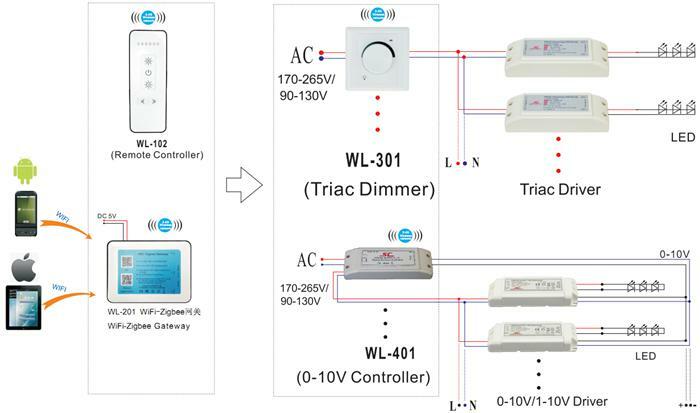 What’s more, in a same network and after connect WIFI, our Zigbee control solution can compatible with many different dimming modes and also accurately control them. Meanwhile, it can complement wireless control with mobile phone, PC, remote controller and wall remote controller.